For many families the mere mention of a murmur or heart disease instills fear, a sincere concern about an illness that could negatively affect their fur baby’s quality of life. 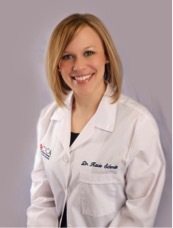 In an effort to provide useful information, I’m pleased to welcome another guest blogger, Dr. Kacie Schmitt, a board-certified veterinary cardiologist who will present a two-part series on murmurs and heart disease in dogs and cats. In Part I, Dr. Schmitt discusses heart murmurs, and I know you will find the information she has provided hugely beneficial. Happy reading! A heart murmur is an abnormal “swishing” or “whooshing” noise produced by turbulent blood flow within your pet’s heart. When your pet’s primary care veterinarian listens to your pet’s heart with a stethoscope, they are listening for the normal “lub-dub” sound of the heart valves closing as blood moves through the heart, as well as for abnormal heart sounds such as a heart murmur. A heart murmur often makes a “lub-shh-dub” or “lub-dub-shh” sound. Occasionally the normal heart sounds are difficult to hear because of a pronounced “shh-shh-shh” sound. When listening to a heart murmur, your primary care veterinarian is assessing several characteristics about the murmur to document in your pet’s medical record, particularly the loudness or intensity. While the heart murmur intensity is important to note, it is simply a loudness scale and does not necessarily correlate with the severity of disease that may be present. Heart murmur – what does it mean for my pet? Early diagnosis and treatment of heart disease is important because it results in a longer, healthier life for your pet. A cardiac evaluation by a board-certified veterinary cardiologist when the heart murmur is first noted provides the best care and outcome for your pet. Most cardiac disease in pets can be managed long term with medication(s). 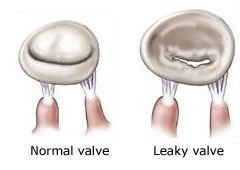 Surgery is rarely indicated, but may be recommended for certain congenital heart diseases. Heart murmur – how do I determine the cause? An ultrasound of the heart (called an echocardiogram) performed by a board-certified veterinary cardiologist is the gold standard method for determining the definitive cause of a heart murmur. 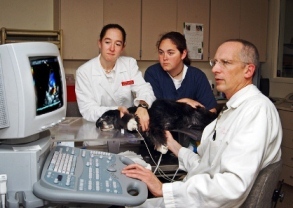 Performing an echocardiogram is a very specialized skill that requires both extensive training and experience; board-certified veterinary cardiologists are experts in heart disease who have completed at least four years of unique training after graduating from veterinary school, including performing hundreds of echocardiograms. As you have read in previous posts on this blog, any veterinarian can purchase specialized equipment like an echocardiograph, but having the expertise to properly perform a complete heart study and interpret the data are unique skills of board-certified veterinary cardiologists. The echocardiogram is performed to determine the source of the heart murmur, as well as assess the heart size, heart function (strength), heart relaxation, and the pressures within the heart chambers. This information will provide an accurate diagnosis of the type and severity of heart disease present in addition to helping your pet’s medical team (board-certified veterinary cardiologist and primary care veterinarian) determine the best treatment plan for your pet and family. Heart murmurs are relatively common in dogs and cats, and can indicate the presence of an underlying heart disease. 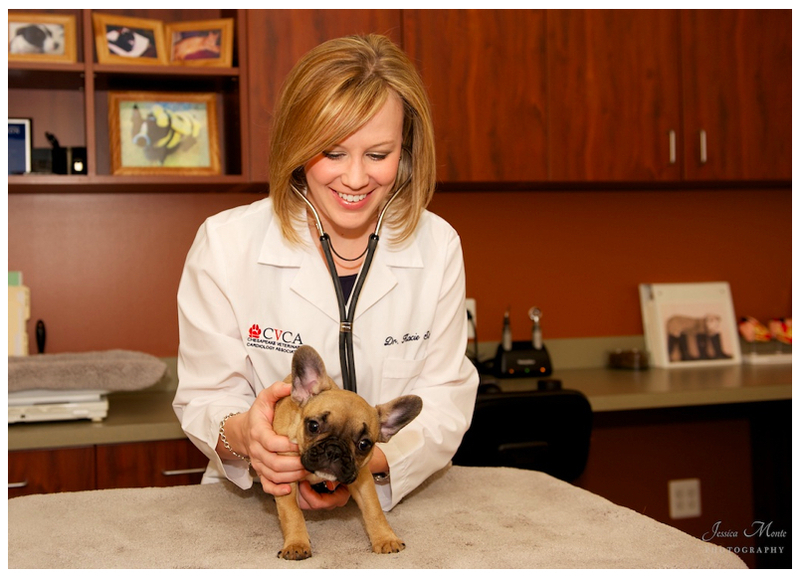 Once your pet’s primary care veterinarian documents a heart murmur, consultation with and evaluation by a board-certified veterinary cardiologist is invaluable in helping determining the cause of the murmur and the most appropriate treatment(s) for your pet. Tune in next week for Part II of this two-part series when we discuss common congenital and acquired heart diseases in dogs and cats. What pet health topics interest you?